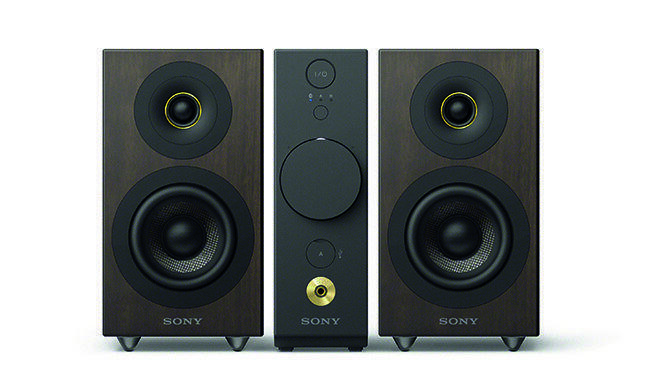 We are drooling over this gorgeous desktop audio system with headphone amp by Sony. The award winning Sony CAS-1 is a high-resolution audio system with built-in dual amplifiers that accurately recreate original sound spaces for an immersive experience, creating an ideal acoustic field on your desktop. The model was also designed to allow the highest quality of listening experience with headphones. Every subtle note of your favorite music fills your space in exquisitely rich detail, even at low volumes. Connection options are aplenty, such as high-quality Bluetooth audio streaming from your devices. The CAS-1 audio system featuring dual amps and separate speakers accurately recreates original sound spaces for immersive High-Resolution Audio experiences through speakers or headphones. Every subtle note of your favorite music fills your space in exquisitely rich detail, even at low volumes. Also, you can enjoy easy high-quality Bluetooth audio streaming from your devices. If you liked this article, then check out this one: the Couch Coaster!